Count CRS as part of the bi-partisan chorus calling for an end to the Scott Pruitt era at the U.S. Environmental Protection Agency (EPA). From the start, it was clear that Scott Pruitt—who had sued the EPA 13 times to block environmental protections—was ill suited to lead the agency. His open disdain for EPA’s mission and overwhelming bias towards polluting special interests were obvious concerns. Still, he has managed to be far worse than billed. Pruitt’s many ethical lapses are so jaw dropping that they stand out even against the backdrop of an administration replete with ethical shortcomings. 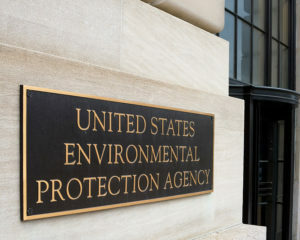 It started with him having a $43,000 soundproof booth built in his office to prevent other EPA staff from overhearing his conversations. Then we find that he was living in an energy lobbyist’s condo on sweetheart lease terms. Beyond that, there were shady real estate dealings in Oklahoma, flying first class on taxpayers’ dime, and taking expensive overseas junkets to promote natural gas exports. Pruitt’s tenure is also rife with examples of him privately meeting with industry lobbyists, then immediately ordering policy changes that favor those same special interests. Having Scott Pruitt as EPA chief makes the president’s “drain the swamp” rhetoric down right Orwellian. Under Pruitt, the swamp of special interest influence and self-dealing has gotten exponentially deeper—and the mission of EPA turned upside-down. This corruption of EPA and total abdication of its mission is truly unprecedented. The time is long overdue to give Pruitt the boot, and EPA a reboot. President Reagan did something similar in 1983 to address his ill-fated appointment of Anne Gorsuch (Burford) to lead the agency. He forced Gorsuch to resign after she had badly mismanaged the agency during her 22 months as Administrator. Reagan made the most of this EPA do-over by appointing William Ruckelshaus to the post. Ruckelshaus, who President Nixon appointed as the nation’s first EPA Administrator, had implemented many of the nation’s landmark environmental laws and believed strongly in EPA’s mission. He quickly got the agency back on track. That same kind of reboot is needed today. Any president who wants our nation to be great cannot allow the health of its citizens to be compromised, or its air, water, and beautiful landscapes degraded. Any leader who so diminishes our nation will have a legacy more toxic than the polluted resources they leave behind.